Due to teacher training, we have one more day left of half term but I thought I would share what we have been up to for the last week (and so I can look back and wonder how I survived). It was The Jellyfish's birthday on 11th. I'm not sure how it happened so fast but she is now nine. Nine. 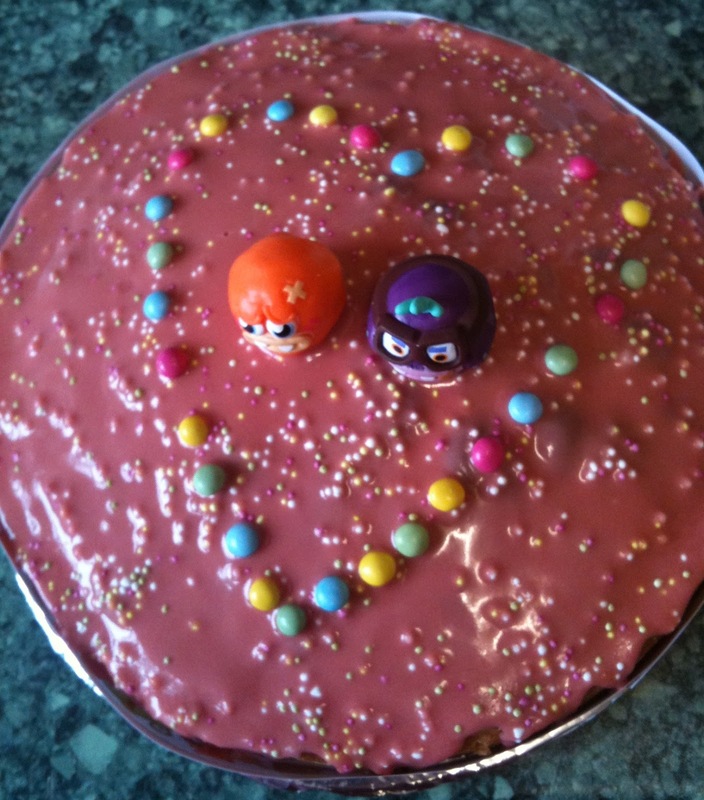 I baked her a cake and decorated it with pink icing and sprinkles before adding a heart made out of chocolate beans and two Moshi Monsters figures (I cheated with this bit and bought a pack from the shop). I'd already made a banner for around the middle using Paint and google and printed out and voila! 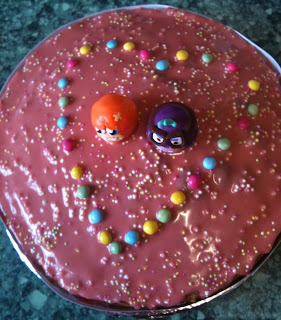 a Moshi Monsters cake. In the evening, we went to Frankie & Benny's for a birthday tea. On Tuesday I braved the train with the kids to visit my mum. We used to see her twice a week but she moved to Wirral just over a year ago so we don't see her so often anymore. The kids had a great time, though I'm not sure my mum's poor neighbours or the people in the downstairs flat would have. On Saturday, The Partner took the kids to the museum, giving me some much needed peace and quiet. I went shopping and then returned home to a lovely silent house so I made the most of it and started reading Dorothy Koomson's The Ice Cream Girls. 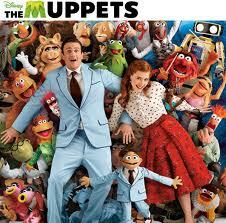 We've watched a couple of films this week. 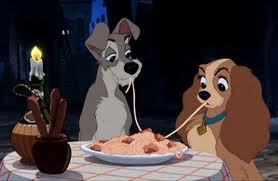 The first was Lady and the Tramp which we watched at home with popcorn. The second was The Muppets which I enjoyed more than I thought I would. We've had a great (and sometimes stressful - particular the train journeys) week but tomorrow we will be back to the usual routine. 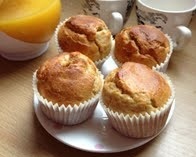 And the school run. Boo!